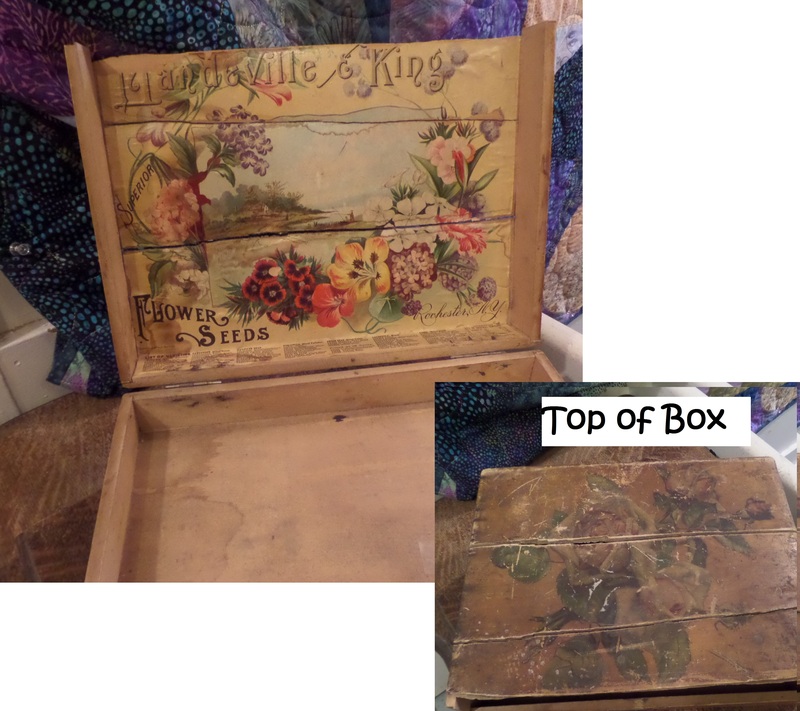 We have some wonderful antique seed boxes. Give us a call at 319-622-3627 and we can discuss the ones we have available and send you pictures. Thank you.